Your roof is considered as one of the most essential components of a house. It protects and secures you from the scorching rays of the sun and the bitingly cold rain. A structurally sound roofing system is vital for the safety as well as to ensure a warm and energy efficient home. A very important aspect to calculate and determine the roof replacement cost is the roof area. In order to determine the roof area first you have to find out the floor area of your home by measuring the outer edges of your home. To do this you have to add the roof overhang to calculate the approximate roof area. In case the ceiling in your home is provided with a slope this will also add to the roof area. It also varies according to the materials used, the pitch, the contractor hired and a host of other factors. 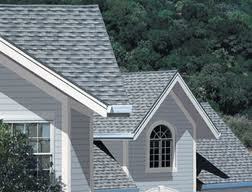 Depending upon your needs and preferences the roof replacement cost range anywhere from $2000 to $25,000. 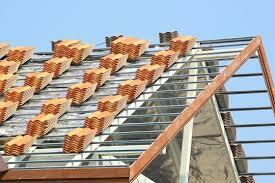 Generally roofers charge for their work using what are known as “squares”. One square is equal to 100 square foot. Average roof replacement cost depending upon the materials used. Size: The first and foremost step in having the replacement cost of roof estimated in to have it measured. A professional roofer will give you a reliable estimate per square feet. Type: The next significant factor in determining the cost is by the type of the material incorporated. A metal roof is indeed one of the most expensive materials. Pitch: The pitch refers to how much slope or angle the roof has. Generally a high-pitched one involves more labor, which will definitely shoot up the cost. Accessibility: If the roof of your home is not easily accessible or harder to reach then the average cost of replacement will also be higher. House Type: The average roof replacement cost of tall buildings is higher because of the risk involved for the roofers who work at such dangerous heights. Additional labor charges: If the frame work that supports your roofing system is damaged then you have to incur some additional charges for repairing or replacing it. Removal: If the existing roof has to be removed then in that case also the cost of replacement is high. The contractor will need to pay for disposing your old roof material. 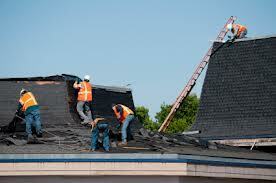 Procuring permits and licenses: The cost of procuring roofing permits and licenses depending upon where you reside also determines the replacement cost. The roofing replacement cost calculator is a free online tool that is a simple and straightforward method to estimate the cost of roof replacement. Yes, it is an indispensable tool in making a reliable estimate with regard to the cost of home covering replacement. The calculator has an formula that takes into account the relevant details like the materials, labor charges involved in the removal of the current set up, cost of building permits, the cost incurred in disposing off the waste materials and the profit margin for the contractor. Steel is one of the most popular materials because they are both durable and attractive. They are eco-friendly, fire-resistant and highly resistant to the inclement and rigorous weather conditions. They are also energy efficient as it reflects heat and comes in a wide array of patterns, shapes and sizes. The cost depends on the price of the raw materials, labor design and other factors. Yes, it is more expensive than the other roofing types. Steel shingles can cost $ 800 per square, standing seam can cost $1,100 per square, plain galvanized ones can cost around $250 to $350 and standing seam panels around $600 per square. All the above cost is inclusive of materials and labor charges. This is important in order to get an idea of the amount that will be needed for the replacement of your roof. The prices vary depending on the company you hire and the extent of work that needs to be accomplished. Get two or three quotes from contractors and compares the prices. Ask them to personally visit your home in order to assess the nature and extent of damage. This will help them to determine the charges and fix the costs. Do not hesitate to ask how much it will cost and how long it will take to finish the work. Choose a reliable company that incorporates the best materials and applies the latest in technology. It depends on how big your roof is. The larger it is than the higher the cost of replacement. Tougher and stronger roof materials are more expensive. A double storey building will cost you more because of the risk involved in working at great heights. The labor costs, complexity of the system and the difficulty of the job also determine the cost of replacement per square. Roofing is one of the essential parts of the building that provides protection and shelter from harsh weather conditions. If it needs to be replaced call a reliable replacing company and get an accurate replacement estimate in order to have an idea of the exact cost.